You need a connection between the building and the people in and around it in order to make things just work seamlessly. We are that connection ! The days of paper notices, no transparency, no visibility and no engagement are gone. 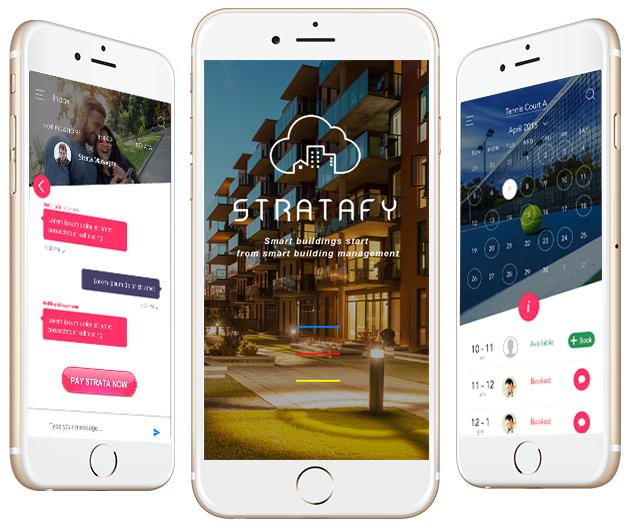 Stratafy represents the future of buildings management with innovative and mobile first technology that brings together and experience for building tenants, Property Managers/ Groups, Employees and Contractors together in one seamless building experience. 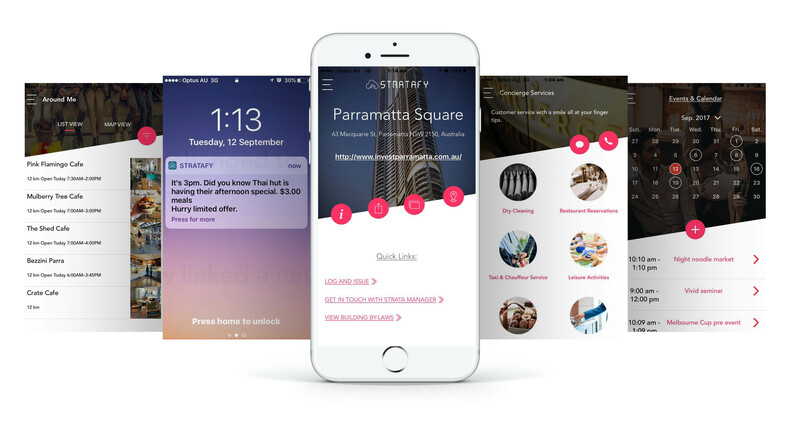 The Stratafy App ensure ticks all the boxes when it comes to managing your buildings from integrated tenant functional engagement through to daily push notifications engagement. A cost effective and affordable way to bring together all the data you need with an experience that really puts a Premium A-Grade effect on your building with innovative technology around smart building and machine to machine data communication through to secure transfer of documents and data. Fully customisable to your brand either through the app or white labeled with features you can turn on and off like concierge services. Stratafy is something your building is missing but not for long. Cost effective and dedicated to innovation.